The NAMM conference may not be on the tip of the tongue of every musician and producer across the world, but it’s likely where the manufacturers and developers of their favourite studio and DJ equipment show off their newest wares. While trade shows might not be the most exciting concept for music fans, what comes out of them often defines the direction in which technology is moving and this year was no exception. Given that we’re in something of a nostalgia period for music-making gear, it’s no surprise that there weren’t too many revolutionary products announced at this year’s event. That doesn’t mean there weren’t exciting new creative tools for us all to add to our shopping lists. Here are a few of our faves. 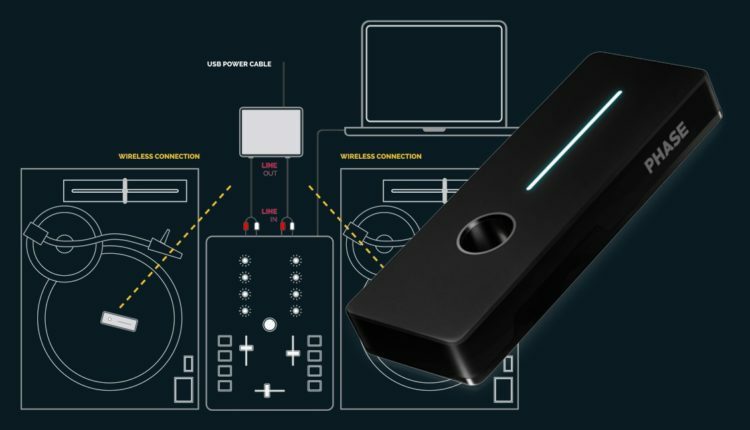 Yes, it’s another controller, but it’s the first one designed specifically for their fairly new DJ software rekordbox dj. 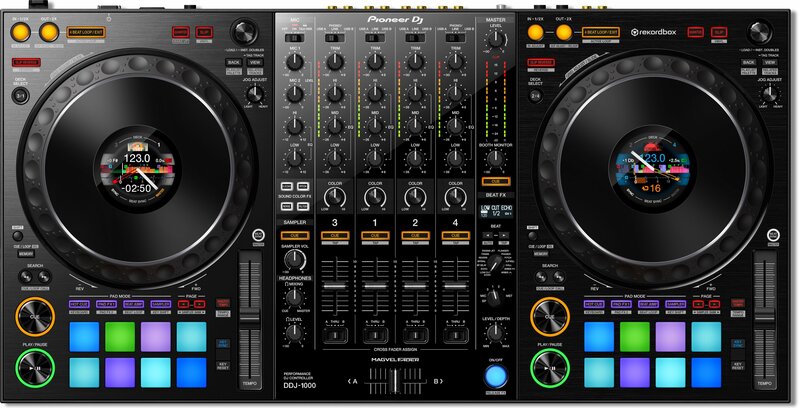 Adding a performance aspect to the popular playlists and analysis software makes a lot of sense to secure as many early adopters into The Pioneer Way as possible and the DDJ-1000, while not cheap, will surely see a 500 or 250 version that trickles down in size and price. Can’t wait to see those on-jog screens make it to the new CDJs. Elsewhere the DJing giants found a common solution to a common problem with their new app DJM-REC. Hooking up the iPhone USB cable to a compatible mixer delivers instant digital recording, and automatic timestamps allow for easy tracklisting. If you don’t have a compatible mixer, it still works with any external Core Audio device that your iPhone supports such as the DJ Mag Tech Award winner Evermix Mixbox. With their re-launch of the MS-20 Mini in 2013, Korg triggered an avalanche of throwback re-issues and rehashes that still runs rampant today (Hi, Behringer). 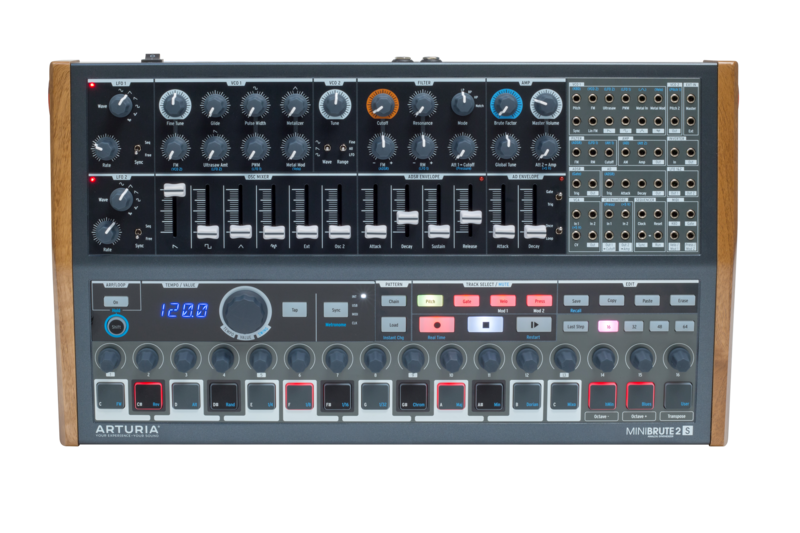 In fairness to Korg, instead of looking backwards, they paired analogue sound with modern tech at an affordable price and the Volca range has been a smash hit. Now they’re bringing an analogue mixer to the table, with the ability to power multiple units with three channels and some master delay and reverb. There are even built-in speakers to keep the portable premise alive. If your eyes and budget are slightly bigger, the Prologue is a sixteen-voice version of the ever-popular Minilogue released a few years ago. With the option of a 49- or 61-key version, the Prologue is a brand new design, offering extra mutli-timbral layering and keyboard splitting, flanger, chorus and phaser FX and even an open source SDK so users can completely modify the FX and waveshape settings. Pretty cool, right? Phase is a wireless control dongle that sits on top of any record and turns the signal into code that any DVS software can understand. Using a USB receiver, you no longer need dedicated timecode vinyl and also do away with the problems associated with that setup. You’ll still need a laptop of course and a dedicated soundcard but it’s a move that could be the beginning of the end for the physical timecode vinyl and if MWM are to be believed, their new wireless data protocol could finally be fast and stable enough for true wireless control in the booth. 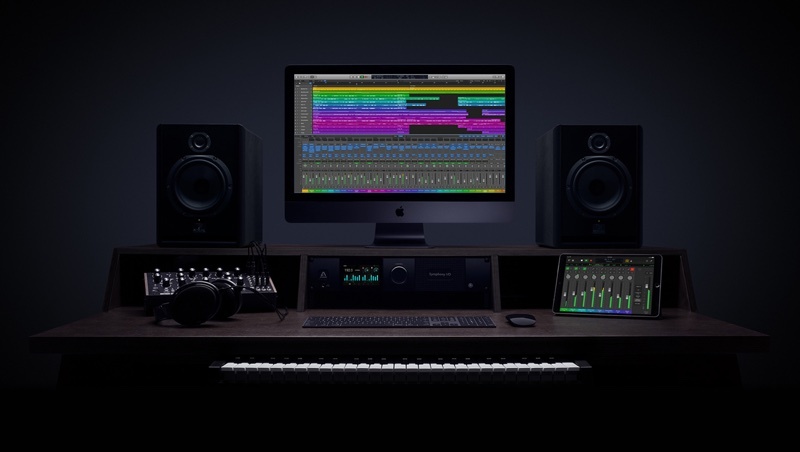 Apple quietly made a significant update to Logic to version 10.4 during NAMM, adding new instruments and FX that appear to be part of their acquisition of CamelAudio last year. Phat FX and Step FX both add significant new instruments and audio processing tools while Smart Tempo borrows features from various other DAWs and allows users to automatically adjust the tempo and timing of their recordings and samples to the project tempo. There’s also some tasty new EQ modes, modeling some classic API and Pultec gear. Not bad for a free update. 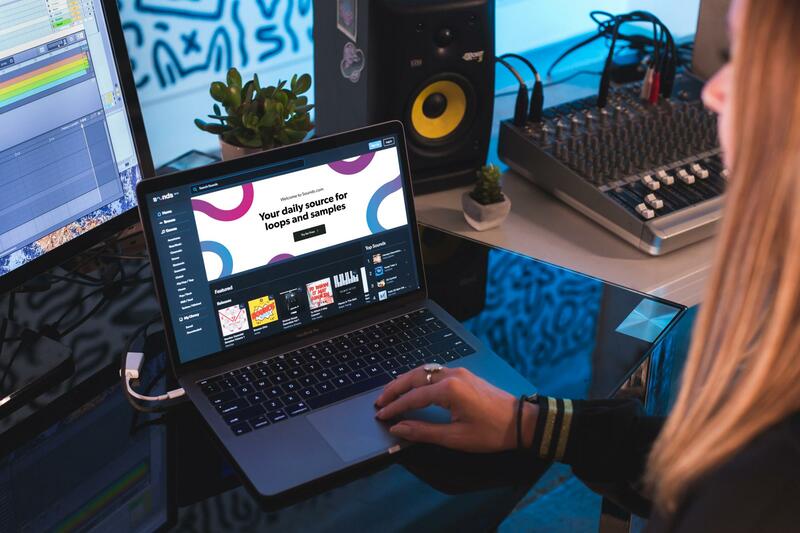 Native Instruments’ latest venture comes in the form of Sounds.com, a new subscription-service for loops and samples. Right now it’s simply a Splice-style website interface with individual waveforms and play buttons per sound but it will eventually integrate into your DAW via a dedicated plugin as well as being part of Maschine, Traktor and the whole of the Komplete range. NI have also told us that the platform will have an open API, allowing developers and manufacturers to access the sounds and potentially add them to hardware – very exciting. Arturia’s MiniBrute has become something of a mini classic, offering aggressive bass and lead sounds in a small package. The French company have upgraded the MiniBrute to version two and added a MicroBrute style semi-modular section allowing users to patch in sounds and sources. There’s also a new 2S version that replaces the keybed with a BeatStep style sequencer, for those who prefer a sequenced approach to playing in their notes. Along with their new Eurorack cases, it’s been a busy month for Arturia. 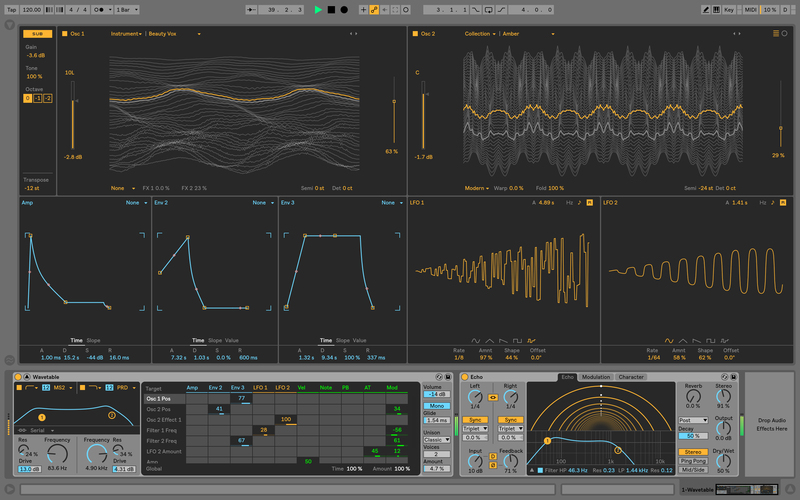 Though not technically announced at NAMM, Ableton Live 10 got its first public viewing and official release date during the five-day conference. Among the new features, new effects Drum Buss and Echo are highlights, as well as Wavetable, a new synthesizer that breaks the Live mold and can take over the whole GUI. There’s a whole bunch more to get excited about and you can read all about them in our 10 Things We Love About Live 10 article. Elektron are renowned for their high-end, high-quality music making units, focusing on performance and creativity. 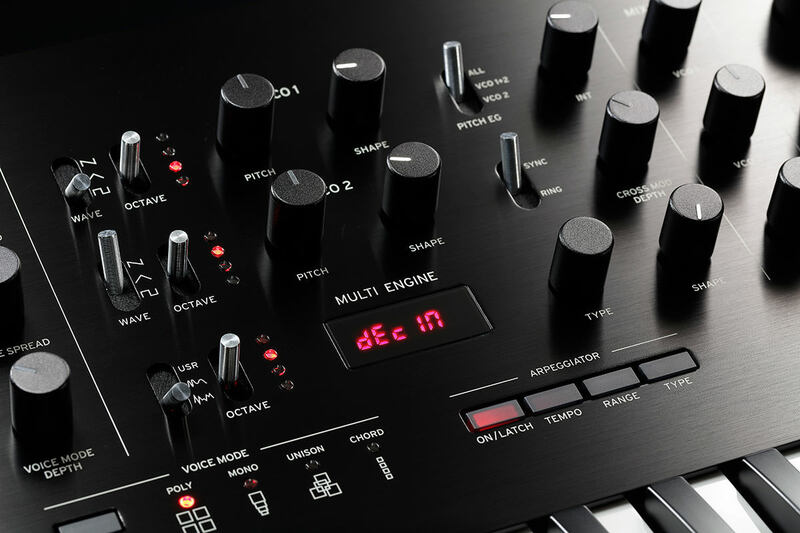 Their Octa range is extremely popular among electronic music producers of all styles but more recently, their Digi range brought their prices back down to more wallet-friendly levels. Next up in the range is the Digitone, an FM synthesizer aimed at simplifying what can be a challenging synthesis type. An eight-voice digital synth, it features the usual Elektron effects and their acclaimed ‘Parameter Lock’ for rhythmic programming. 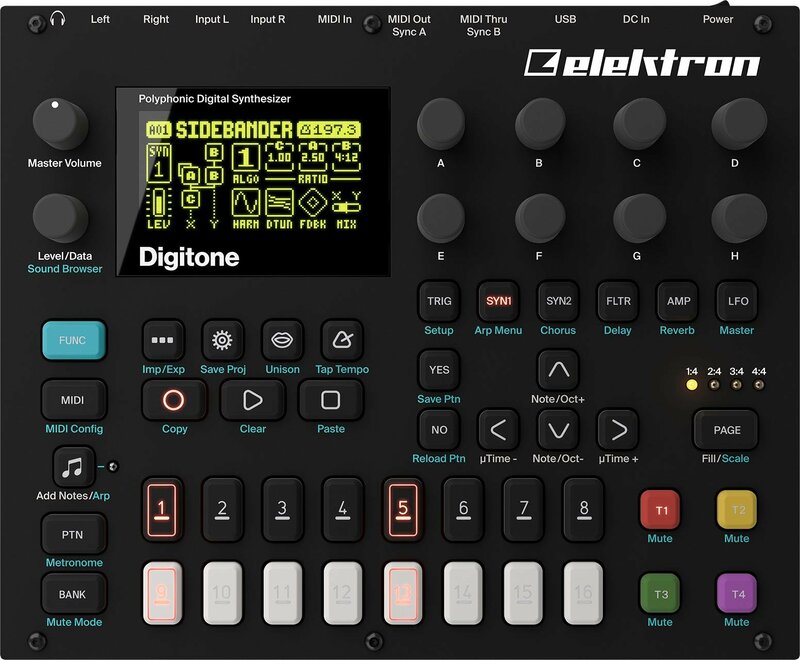 Given Elektron’s established credentials around quality, it’s likely the Digitone will be flexible, functional and fun. We’ll find out for sure with a review soon. Declan McGlynn is DJ Mag's Digital Tech Editor. Follow him on Twitter @holmesprice.